Hi, miss you all, my dear readers. You might have wondered if I had retired or hibernated from blogging. I just came back from Hong Kong, my home town, where my mother and all my siblings are living there. Looking back, it seemed to be a long time that I haven't blogged here. During the stay in Hong Kong, I also took the opportunity and made a five-day trip in Malaysia, enjoying lots of sightseeing and good foods of course. To myself, the most memorable part of this trip was that I had enjoyed three Mother’s Day meals in a row, one for me, another for my own mother, and the last-but-not-least one for my mother-in-law. From reading their facial expressions, I believe both of them were so happy and satisfied as we could celebrate this special day with them in person. Lots of fun and joy I’d love to share with you all. Needless to say, I took tons of pictures during the trip. Yet, as you know, it’s impossible to post all of them here on my blog. Most of the time, I used my new toy – iPad 2, that I bought a week or so before the trip, to take all the yummy food photos. It’s fast with good results, so I wouldn’t keep my family waiting too long. They could quickly stretch out their chopsticks and taste the dishes once they heard I clicked my iPad’s camera button. After this post, I would share recipes as usual, and might post what and where we enjoyed eating in Hong Kong and Malaysia. Please pardon me as I could only post them bit by bit, might be as slow as a snail (oh, just kidding, haha). Good things need time and effort to build up. Here are my most favourite dishes from each Mother's Day meal. One of the popular ways to celebrate Mother’s Day in Hong Kong is going for “yumcha”. We’re prepared that almost every Chinese restaurant would be packed and got a long queue waiting outside. To save us from waiting too long, my sister had booked a large table for 11 people at 肇順名匯, located in San Po Kong (Concorde Rd, Hong Kong). Typical dimsum dishes must be on the list. What I like the most was the Taichi Rice, basically was fried rice topped with two different sauces. One is tomato sauce, another is white creamy sauce. The dish was gone very quickly after it served on our table. The dinner on the Mother’s Day, specially for my mother-in-law, at 囍慶 (Happiness Cuisine, Science Park, Shatin) was a banquet literally. We were so full after finishing 8 courses, with extra dessert and fruits. Shark fin soup is typically included in a Chinese banquet that I haven’t had for ages. Yet I skipped posting the photo for I don’t want to offend some of you who might oppose to killing of sharks for fins. The whole night I was expecting my favourite dish, lobster with fried noodles. Disappointedly, the dish served that night was not up to my expectation. The noodles was tastelss, and the chef didn’t cook to show their respect to the seafood. What a waste! I love dining in this elegant designed restaurant, 利苑酒家 (Lei Garden Restaurant, West Kowloon). I was amazed by how they could serve the chicken with the meat so moist and tender, and with the skin so crispy on top. Looks good & delicious. 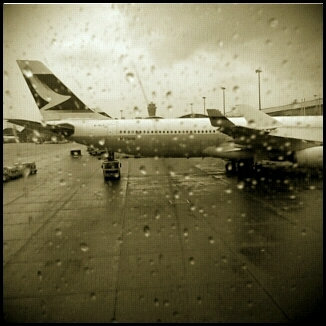 Now, I really want to take a trip back to HK this Dec. I also come back from HK to Melbourne 2 weeks ago, really missed those HK food very much. Wish i could go back soon. Very happy for you to have such a great time in your home town. So looking forward to more of your wonderful recipes. I visited HK for the first time last April and the food was so delicious. I'm lucky to live in the San Francisco Bay Area, where there is decent Asian food of all kinds, but still nothing compares to HK! I miss it! Glad you had such happy travels with family. Glad you enjoyed your vacation and time off from blogging! 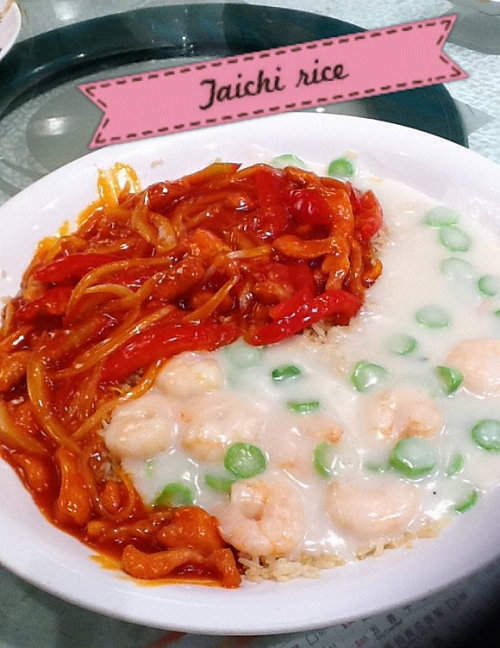 These dishes look delicious and I would love to visit Hong Kong some day! i already wondered where you were..but you took a holiday to your fam. welcome back ! hope you had a wonderful holiday. the picz look so good and delicious. I was wondering how come you were MIA so long. Guessed as much that you went home for a vacation. Lovely food! All so yummy, cant wait for you to post up the rest! Especially drooling over the yum cha...! I need to visit HK again one day...:)! So relief that you're back.Have missed you but glad that you've had a nice break.I was from H.K too & miss the chicken there which always taste good. woah, the taichi rice looks and sounds amazing! Thanks for letting me know. Already left messages on the blog and asked the blogger to remove the infringing contents. Every dish looks delicious! Drooling over your photos! I like the name Taichi Rice! Glad you had a great trip. Welcome back!!! christine, nexttime if i visit hongkong, must sure ask for some recommendation of places where to eat! Those are such mouth watering entrees. I agree, there must be dimsum and noodles when going to a food trip in Malaysia.